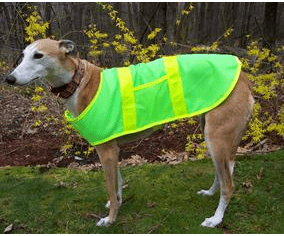 Greyhound Dog Reflective Safety Vest, Price includes free shipping, (24 inches long by upto 35 inches wide) Large over 80 lbs. In our latest survey of customers who use Hi viz vests, In their own words. 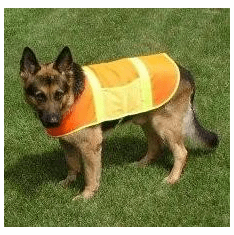 Two weeks ago I ordered the 12 inch Reflective Safety Hi viz vests for my dog, The quality is really nice that we are ordering one for our cat!, Thanks. 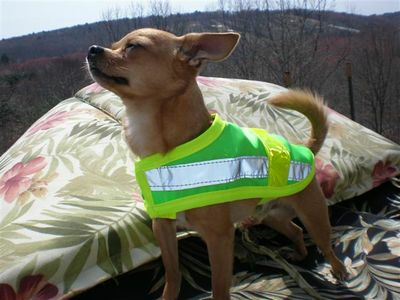 I love the fact that I can have the same matching Hi viz vests fashion as my pet, It’s so wonderful. 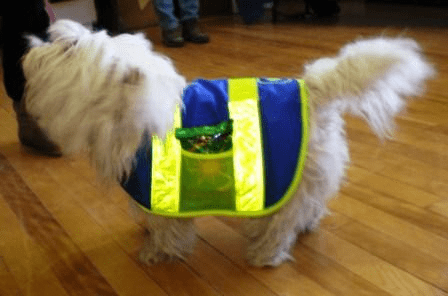 Over the years, we've owned several different brands of Hi viz vests, and feel that Spot n' Trot are the best designed, easiest to put on, the materials offers the greatest visibility, Hi viz vests. We're believers. Thanks again, and we'll keep you in mind for future needs. ******Please make sure you have ordered the correct size on this product.....Exchanges start at $5.00 per item...**** Deer hunting season starts Saturday in Vermont great for Hi viz vests. 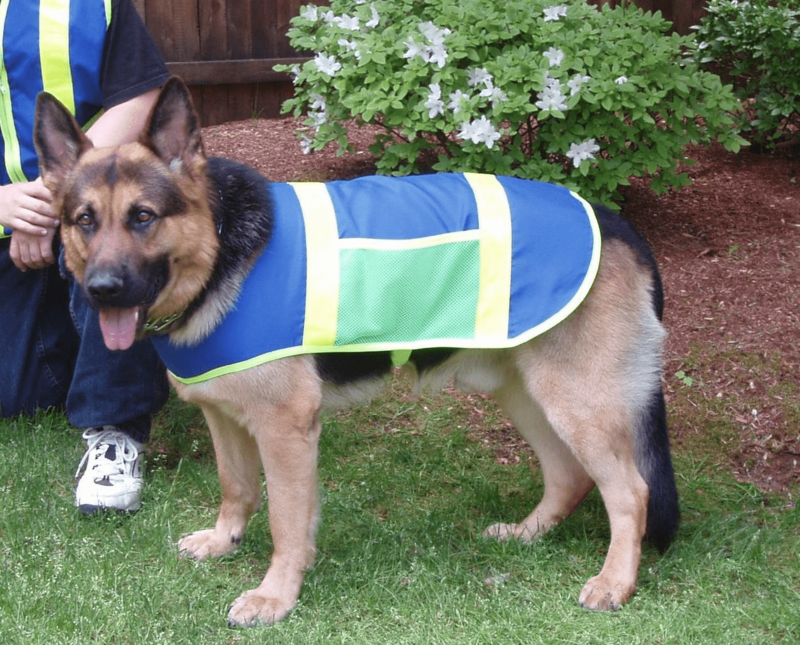 Spot N Trots Distinctive Hi viz vests protective outerwear for pets and their owners are recommended by Veterinarians and Safety Personal throughout the world. 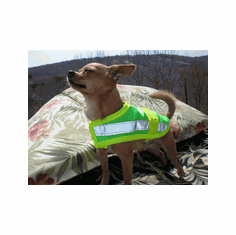 Spot N Trot Dog Reflective Safety Hi viz vests for pets are offers you and your pet a maximum protection by using highly reflective and visible products. 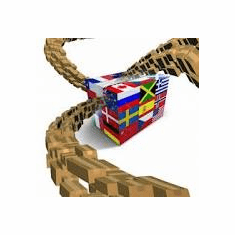 These are the same high level performance materials used for road construction Hi viz vests and traffic control safety Hi viz vests worldwide. The same materials used by the Spot N Trots lines are used in making police, security, construction companies, and large government highway division’s safety Hi viz vests. Their reflective materials are extremely bright at night and along with the bright fabrics are also highly visible during the day light hours. No matter what the season, Spot N Trots will keep you comfortable and safe. 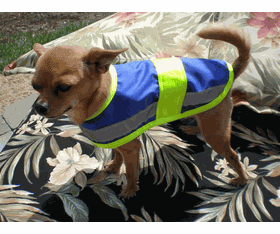 Their Hi viz vests nylon provides wind resistance and dry with its water repellant shell. 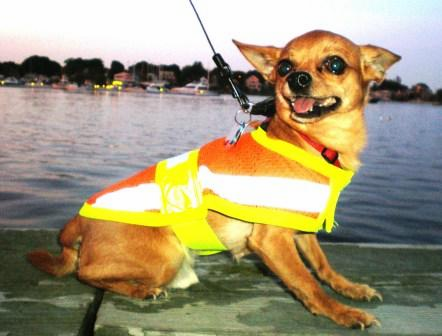 Safety Hi viz vests apparel for dogs and cats, Chihuahuas, Pomeranians and Papillion type dogs Shih Tzu, Pug, Pekingese and Schnauzer type dogs Beagle, Corgi and Cocker Spaniel type dogs Brittany Spaniel, and Wheaten Terrier type dogs Dalmatian and English Bulldog type dogs Golden Retrievers and Australian Shepherd type dogs German Shepherd and Labrador Retriever type dogs Great Dane and Rottweiler type dogs Hi viz vests Colors include Pink, Green, Blue or Orange.